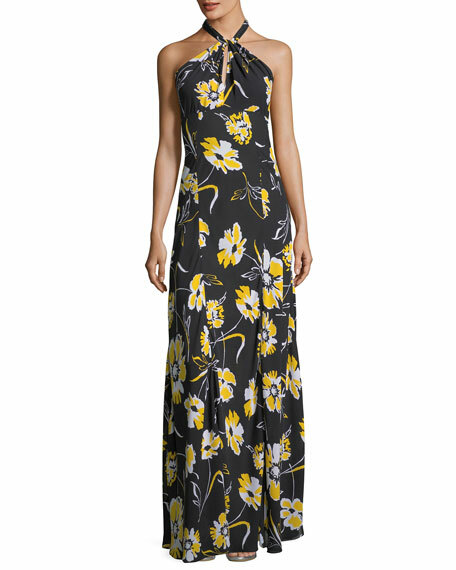 Michael Kors Collection dress with graphic floral-print. 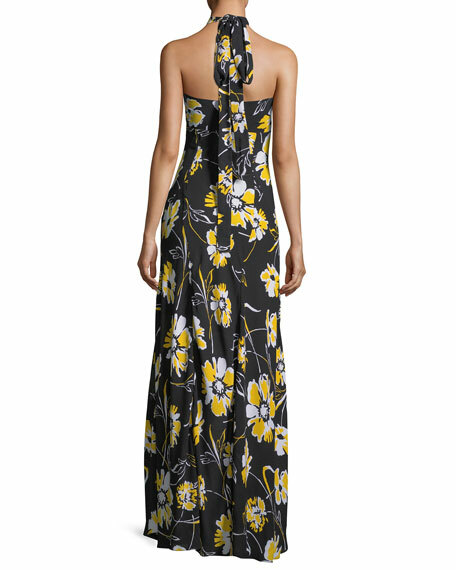 Halter neckline ties at back. For in-store inquiries, use sku #2354877.